Objective Lymphocytic oesophagitis (LyE) has been reported in small series, but no consistent clinical correlations have emerged. The authors sought to determine the prevalence of LyE in a large population and define demographic, endoscopic and clinical findings associated with this condition. 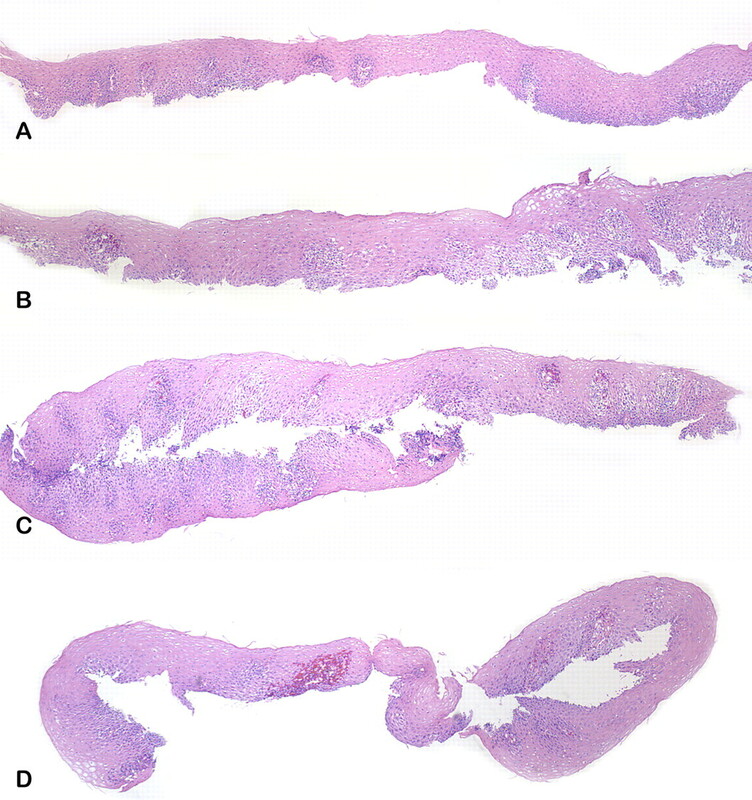 Design In a pilot study, the authors established and disseminated criteria for the histopathological diagnosis of LyE to a group of gastrointestinal pathologists. 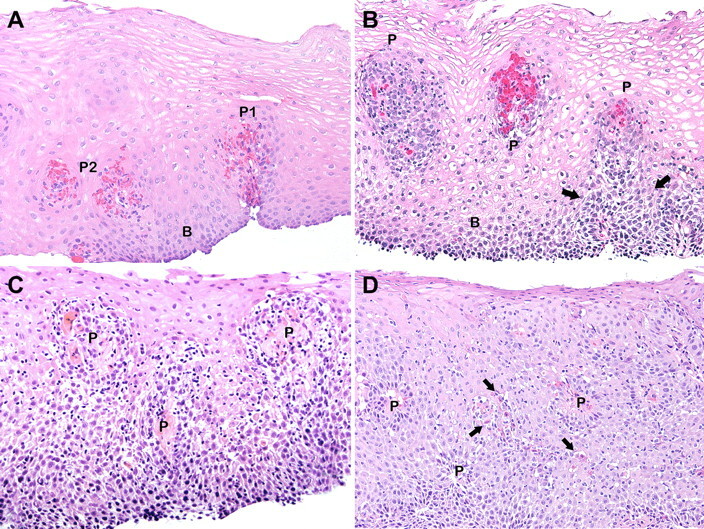 Eighteen months later the authors reviewed cases with this diagnosis, collected demographic, clinical and endoscopic data, and compared them with patients with either eosinophilic oesophagitis (EoE) or normal oesophageal biopsies. The authors also determined the density of oesophageal lymphocytes in normal controls and in adults with established Crohn's disease. Results There were 129 252 unique patients: 40 665 had normal mucosa (median age 55 years; 32% men); 3745 had EoE (median age 43 years; 66% men). A diagnosis of LyE was made in 119 patients (median age 63 years, 40% men). Dysphagia was as common in these patients as in those with EoE (53% vs 63%; ns); gastro-oesophageal reflux disease —the most common complaint in patients with normal biopsies (37%)—was low in both the LyE and the EoE groups (18% vs 19%, ns). EoE was suspected in one-third of the patients. 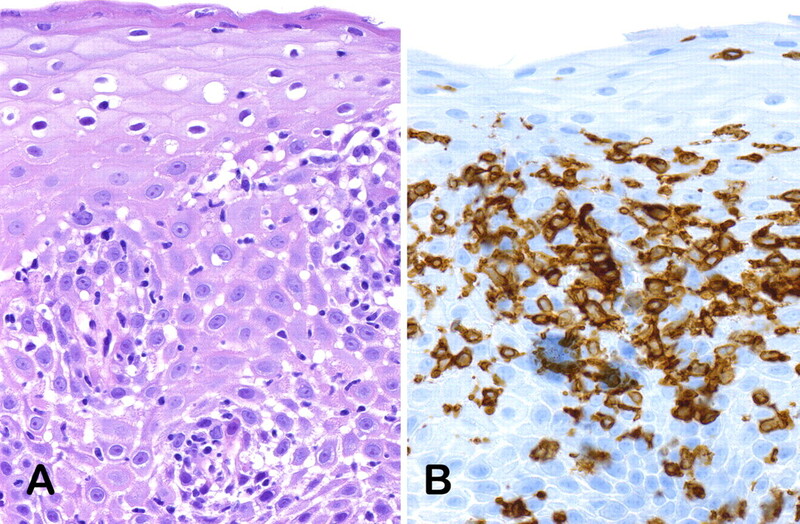 Conclusion LyE was detected in ∼0.1% of patients with oesophageal biopsies. The clinical and endoscopic characteristics of LyE and EoE overlap considerably; however, LyE affects predominantly older women. Although the precise clinical significance of oesophageal lymphocytic infiltrates remain to be defined, their association with dysphagia and possibly motility disorders warrants further investigations. Competing interests SH and RMG are employees of Caris Diagnostics, Irving, Texas. This manuscript was written entirely by the authors, with no external assistance. Ethics approval This study was approved by the Institutional Review Board of Caris Diagnostics, Irving, Texas, USA.